After leading the 49er’s to the Super Bowl, Colin Kaepernick should be a hot commodity. But after refusing to stand for the National Anthem his career just might be on the verge of extinction. Five years ago, Kaepernick was the king of the NFL after passing his way into the #SuperBowl. Post Super Bowl, people whispered that he might go down as one of the greats. Great has-beens. Almost all of the top players were signed within 72 hours of the start of free agency. But not a peep has been mentioned about Kaepernick. Sometimes these deals are held close to the vest, however not a whisper with Kaepernick. We could blame it on his falling stats as a quarterback. But Tony Romo was on the decline, and at least three teams are looking at him. Perhaps the NFL teams are doing what the NFL Roger Godell didn’t do: teach Kaepernick a lesson in patriotism. Kaepernick learned to honor the flag and America in youth football. Two minutes before each game to pay homage to the land of the free. During high school and college that tradition continued. 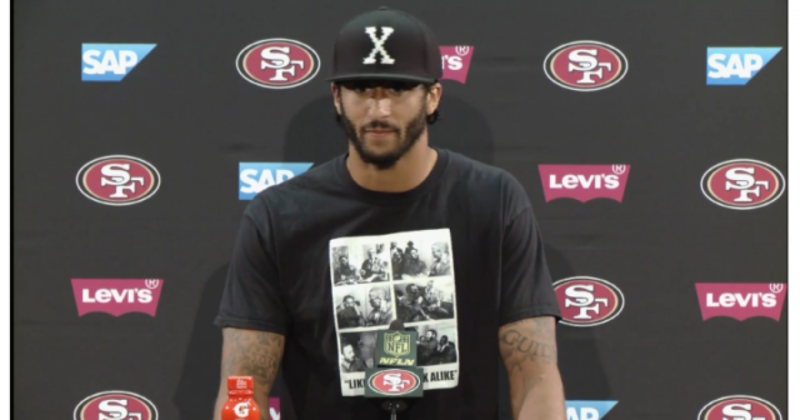 Kaepernick claims his refusal to stand was on behalf of the oppressed. However, he never made that stance before the NFL. Kaepernick knows as much about oppression as Caesar did. A silver spoon kid, fortunate to be adopted by a loving white couple, Kaepernick got the best of life. Even his own (biological) mother disagreed with his actions. 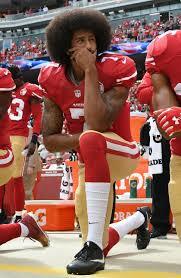 As #KevinJackson said, Colin Kaepernick can kiss it. All he’s doing is creating a world hatred runs rampant. It’s still possible that a team will throw him a bone. However, the slow response proves people love America and they don’t want to give all the success away to those who don’t respect Lady Liberty. Still, it’s possible that a team will throw him a bone. However, the slow response proves people love America and they don’t want to give all the success away to those who don’t respect Lady Liberty and the people she represents. Maybe Kaepernick can wear a Trump dress to the next event and make amends.